After the demage which was during sailing "round the world". We replace that baby stay and now we are in Uruguay. During last months we was thinking, and we was checking it one more time, and now we decide to replace whole rigging. We think that it's only one way to be sure about safty sailng. So now, we need more information about rigging, maybe you can talk with Mike Feldman, and maybe he has got still any documents of the rigging. any datas and catalougs from that days. best for you. Hi, yes, yesterday Irek passed the equator. His average speed is 7,88 kn (few days ago was 8 kn). maximal NM per day he made 228 MM/24h so the average speed during that day was 9,5 kn. We expect that after 10 days he will be sailing faster cos he will be below 35S so there is more windy ad the ocean current. The previous name was SOFI. We want came back to Sassy but we had been talking about it and we decided to make new story and new name for this yacht. and it's coming from the nick name of my business partner Irek "Chief" Chwołka. Hi, it's again me, the Polish Sailor, exactly Wojciech Madej. You can see our renovation project here: and now, I make this new topic, for all of you which want follow us with Round The World Non-Stop SOLO '18. My business partner Ireneusz "Chief" Chwołka ( my friend as well) at 16:45 on the 02.01.18r started from Santa Cruz de Tenerife on this yacht to his voyage. The Chief One is an ex Sassy which was in terrible condition. Now we make it great again. I'm writing this post to honor you as a home of old girl. We are glad to bring it new life, and we will be care of it. 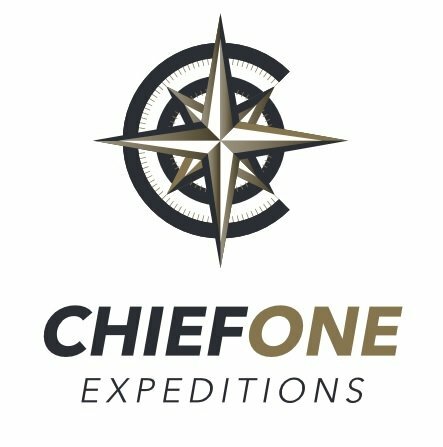 You can follow this voyage on tracker: https://eur-share.inreach.garmin.com/IreneuszChwoka https://www.fb.com/chiefoneexpeditions http://chiefone.eu/pl/ (for this moment just polish version, but it will be multi language in future) The whole renovation has been lasted since may of '17 until december '17. The new Sassy now is Chief One and looks like you can see below. Chief One ex SASSY is a Maxi IOR 78 ft made in 1984 by Palmer&Johnson. Design by legendary Ron Holland for Dutch Schmidt. Hi, On this picture The J1 is 100m2. He took also J1 which is 60m2. and J2 42 m2 and J2 22,8m. also before J1 we've got rolled Code Zero 190m2 and rolled Gennaker 300m2. Irek will be sailing usually with strong 30-55 knots of wind during his voyage. Only on Atlantic Ocean the wind will more weak so there he will be using C0 up to wind and Gen downwind. He didn't took Spinnaker pole cos it's no possible to use spinnaker by himself. I found the picture during our stopover in Cuxhaven. Hi, everyone, Yesterday I came back to Poland, so I've got some information for you. First about sailing from Poland to Canary Islands. It was hard sailing against stormy wind. We had had to wait 7 days in Cuxhaven cos strong wind stopped us and after that the wind changed direction and we was sailing downwind. and the wind was blowing 52,5 knots. We jumped quickly throw the La Manche and Biscay Bay. So at the 02.01.18r Irek started from Santa Cruz de Tenerife as you saw above. I will make new topic, of sailing around the world. cos I think, that the topic of this renovation is done. It will be updated after this voyage cos we will be making one more time small renovation ok! thank you all for being with us, thank you for the all of tips, notification and you knowledge. It was really helpful for us. I add some more pics for you, cos few of you want it. so here you are, just below. Yes, this is my job, how to successfully cross Baltic, North Sea and Biscay, and go to Canary Island before 18.12 so, keep your finger crossed please. no, Irek wants start from Canary Islands. but I will be delivering yacht from Poland to Gran Canaries. Nowadays your Sassy looks much different, but With New name, new a bit different shape, new sails, SHE Is One more time GREAT AGAIN. Irek would like to start to Non-Stop Solo Round The World in second half of December. * about website, It will be in English version, but I've got problem with my IT specialist, he's strike out all of deadlines. * you can check news on fb profile, I'm trying to add there English version of post And last question to you (on the pics which you can see below, there is single handed gennaker which've got 290 sqm). How much sgm have got SPINNAKER and SUPERFLANKER? Knows that somebody? .woj . Hi, again after small break. and on the beginning I would like send best regards to PL767, MauiPunter, Steyoutofthemiddle, Carcrash and to all of you how are following us. Also I'm so sorry that I was out of forum (as you think is it lot of to do). For sure in next week I will put more pics and information. We are working, it is not to much to show you but we made a demo of sprayhood which could be simple adding or removing. We need it for this singlehanded project and maybe we will removed it in next year. how wants to be in touch send me mail on wojciechmadej.wm@gmail.com with your nick which you are using on SA. If you want see impossible things, your are invited to following us. We have got lazy jack and single-handed reefing system on main sail. On boat will be 3 rollers [1st for gennaker 290 sgm and reacher 180 sgm (with no ending line); 2nd for genoa 160 sgm and jib 110 sgm on for stay, 3rd for storm jib 42 sgm on baby stay). We want add hydraulic winch and electric winch as well. The main sail will be with 3 reefs ( from 2 to 4 the last reef will be 50 sqm) so lot of to do, lots of new solutions. I with Irek spend lot of time for creating new conception which will be best on our yacht. and one question, did you used the hydraulic winches which was on stern for runner, they was hydraulic? with hydraulic engine? We want add hydraulic engine to Barinet winch. few updates about our plans. So, firstly the yacht is preparing for NON-STOP SOLO Round The World and no assistance, my business associate (Ireneusz "Chief" Chwołka) want start in November from Gran Canaries in his race around the world non stop solo. (before he start in this challenge probably I will make new topic about that event). Do you know how big (length) was the biggest single handed mono-hull sloop which was sailing in non-stop solo round the world and no assistance. (maybe it will be the biggest on the world?) Nowadays we've got solutions how to man (single-handedly) the biggest sail, which will be Gennaker 290 sqm and Reacher 180 sgm on this yacht. After our sailing test we will adding movies, but it will be in or after September) I will be delivering yacht from Poland to Gran Canaries and back so it is possible to join to me (private message). I would like start from Poland on the middle or end of October 2017 and after challenge I will be coming back to Poland about in end of March 2018. It is hard to say, due to we still working but time is against us. This is quite big project so our plans have to be flexible, and they are. ok, After NON STOP SOLO round the world and no assistance (in March 2018) we will make one more renovation and we will prepare boat for sailing with crew to make some regattas and expedition sailing. for expedition sailing we will be adding anchor with big winch on the bow and dinghy boat with crane at stern. ok, and now maybe the worst information for you (and we apologized for that) is new name of Sassy, previous one was Sofi and now the New Sassy will be called "CHIEF ONE" and it will be yacht prepare also for single handed sailing. We don't want forget about Sassy ( also Julianne, Cheeky, Wild, Sofi) so on the boat will be memorial and few pics of Sassy and Wild (we haven't any pics of Cheeky and Julianne in good quality). 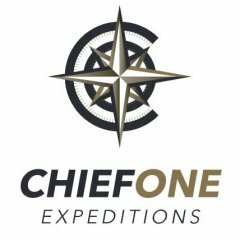 You can also follow/LIKE as on Facebook (I started adding English version of post) www.fb.com/ChiefOneExpeditions https://www.facebook.com/chiefoneexpeditions/ and on website (for this moment only polish version and only beta version) but it will be English as well but not now. (to much to do in the same time) www.chiefone.eu We still looking for major sponsor, it's not necessary but is it good to have, so you can write on privet message with this subject too. so warm regards Wojciech Madej, the Polish Sailor on SA.